At least one person died Wednesday after Hurricane Michael made landfall in the Florida Panhandle as the strongest storm to hit the continental U.S. in decades, Anadolu Agency reports. 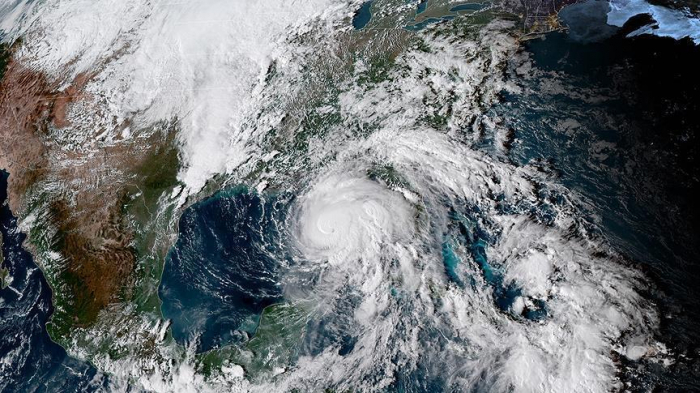 Michael hit near Mexico Beach as a daunting Category 4 with winds hitting speeds of 155 miles per hour (249 kph) and is making its way through the southeastern United States. It was downgraded to a Category 1 while it wound through southwestern Georgia but is still boasting winds of 85 mph (137 kph), according to the National Hurricane Center. A man in Florida's Panhandle region died after a tree fell on a residence, the Gadsden County Sheriff’s Office confirmed, according to multiple reports. Devastation has been widespread after Michael hit roughly 20 miles southeast of Panama City, Florida early Wednesday afternoon. Video purportedly from Panama City showed roofs being ripped off buildings and palm trees being tossed side to side like rag dolls as rain mixed with debris flew through the air. Tallahassee Mayor Andrew Gillum told CNN that roughly 90,000 residents in his city alone are without power but urged residents to shelter in place until authorities say it is safe to come out. "If you are in our community, please, please, please avoid coming out until you get an all clear from your government, from emergency responders," he said. "There are too many parts of our community that are still impassable." The plea was echoed by Florida Gov. Rick Scott, who said on Twitter: "We need the roads in impacted counties to be clear for first responders and search and rescue teams so that they can do their jobs and save lives. Please do not put yourself or your family in danger by going out on the roads." "We are still in the process of assessing damages from Hurricane Michael. DO NOT RETURN TO YOUR HOUSE UNTIL YOU ARE TOLD IT IS SAFE. Going out without having a clear route will put you and your family in danger," he added in a separate tweet. As Michael departed his state, Scott said authorities are now devoting all resources to search, rescue and recovery efforts.